A radical new understanding of how medicine is best practiced, from the award-winning author of God’s Hotel. 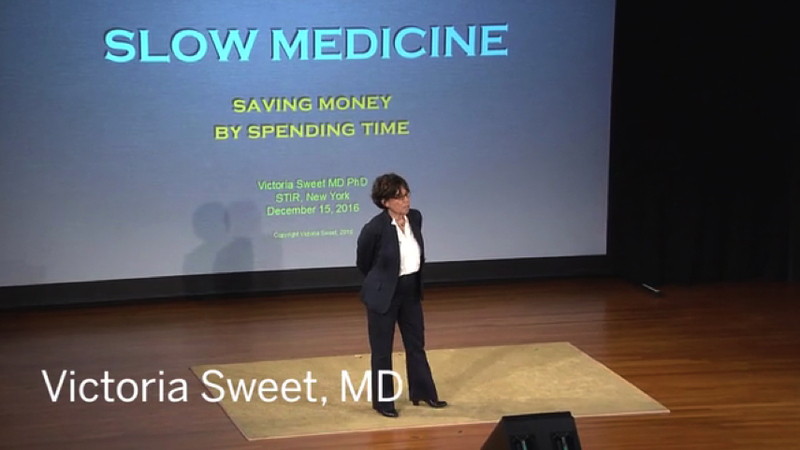 Over the years that Victoria Sweet has been a physician, “healthcare” has replaced medicine, “providers” look at their laptops more than at their patients, and costs keep soaring, all in the ruthless pursuit of efficiency. 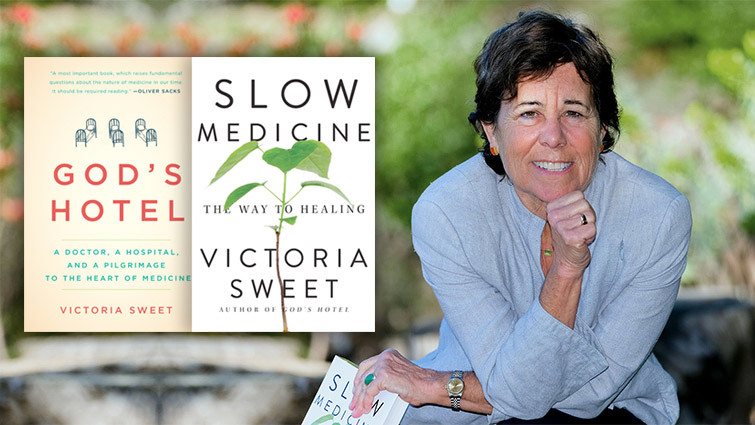 Dr. Sweet is an Associate Clinical Professor of Medicine at the University of California, San Francisco, and a prize-winning historian with a Ph.D. in history. 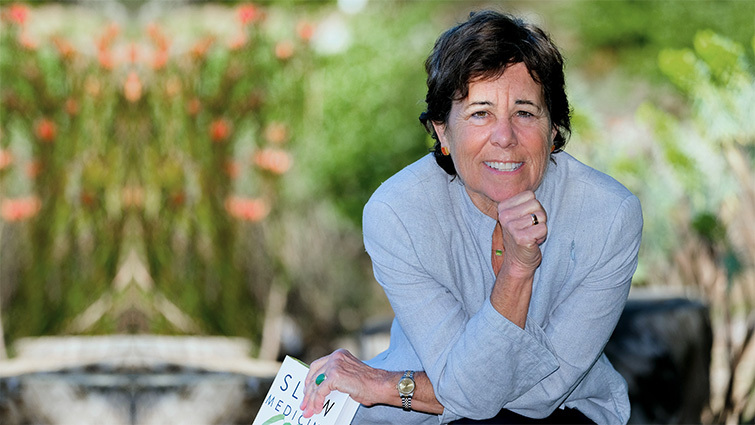 She practiced medicine for over twenty years at Laguna Honda Hospital in San Francisco, where she began writing. 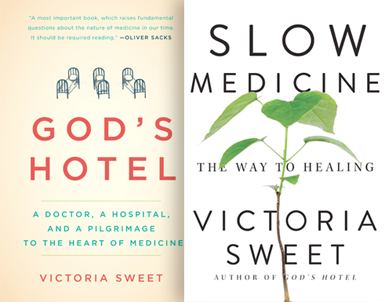 In God’s Hotel: A Doctor, a Hospital, and a Pilgrimage to the Heart of Medicine Dr. Sweet lays out her evidence—in stories of her patients and her hospital—for some new ideas about medicine and healthcare in this country. Dr. Sweet at the Guggenheim Museum on December 15, 2016, addressing healthcare executives.